Back in 2017, Texas passed a law that banned texting while driving in attempt to curb distracted driving, which is a major problem throughout the country. The law effectively banned the sending or receiving of any electronic messages when you’re behind the wheel. Texas held out from enforcing a statewide ban on electronic communication behind the wheel, but eventually lawmakers decided enough was enough; that too many avoidable crashes are causing personal injury in Texas. Over the course of the past year, people are starting to realize there may be a loophole in the law, however. 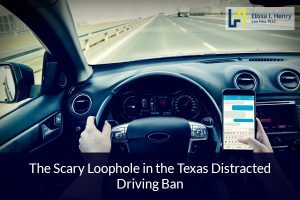 Some Texas lawmakers fought for years to pass distracted driving bans, but were only able to do so by narrowing the focus of the law to electronic communication. Other forms of distracted driving, such as messing with the stereo or using a cellphone for navigation, are still OK. Opponents of overregulation have said people still need the freedom to do things while driving that are perfectly safe. In addition, they say it’s next to impossible for police to enforce the prohibition of a wide net of distracted driving measures. Opponents of driver safety have said the first step in passing any statewide distracted driving ban was to start with electronic communication. Some hope to expand Texas’ laws soon, but it remains to be seen whether that’s possible. States throughout the country are toughening distracted driving laws in hopes to rectify a growing problem. In Texas, the Department of Transportation says one in five auto crashes involves a distracted driver. In 2017, which was the year the statewide distracted driving ban went into effect, 19 percent of the state’s 537,475 motor vehicle crashes involved distracted driving. Of these, 2,889 resulted in serious injuries, along with an additional 444 deaths. The DOT runs an annual “Talk, Text, Crash” campaign to raise awareness to the seriousness of distracted driving. Following the statewide ban on electronic communications, the DOT also launched a “Heads up, Texas” campaign that warned drivers that police officers would be looking out for drivers who had their heads down while driving, a key sign they were using their cellphones. Is Texas Doing Enough to Prevent Distracted Driving? 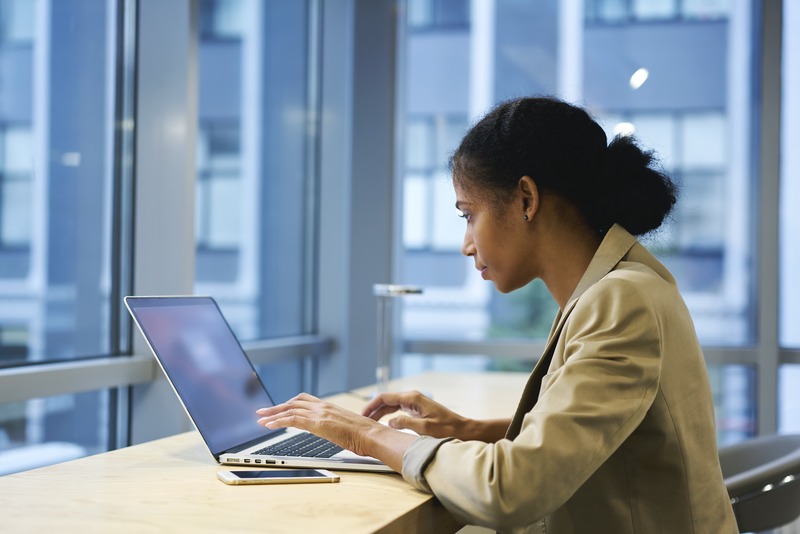 While it is now illegal in Texas to send or receive electronic communications while driving, drivers still unfortunately engage in the practice, putting themselves and others on the road at risk. If you or someone you love has suffered a personal injury in a motor vehicle collision involving a distracted driver in Round Rock, you’ll need an experienced attorney on your side fighting for your rights. Contact the personal injury lawyers in Round Rock TX at the Elissa I. Henry Law Firm at (512) 766-4529 for a free consultation.